To find out more details about my new paperback b ook on the Titanic and the Californian, including ordering details, please look here. What Happened to Ballard's Plaque? 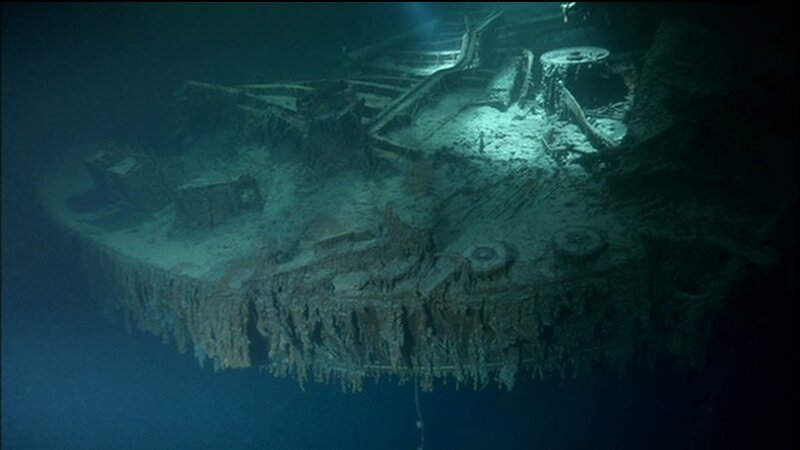 In 1986, Dr.Ballard was given a plaque by his friends in the Titanic Historical Society (THS) to place on the wreck as a memorial to those who died in 1912. The plaque said, "In memory of those souls who perished with the "Titanic" April 14th/15th 1912. Dedicated to William H.Tantum, IV whose dream to find the "Titanic" has been realised by Dr.Robert D.Ballard The Officers and Members of the Titanic Historical Society, Inc 1986". 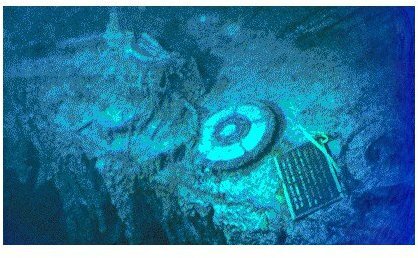 Sure to raise hackles, the plaque neglected to mention the hard work of the French IFREMER team who had surveyed the search area for weeks and had found nothing, thereby narrowing down the remaining area for Ballard and his friends. 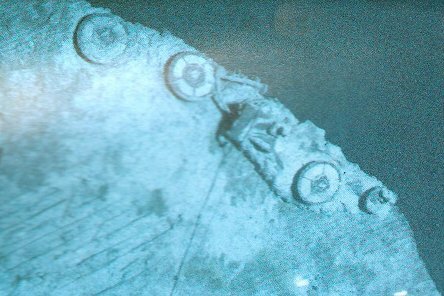 Ballard eventually placed the plaque between two mooring "roller fairleads" on the extreme aft starboard side of the decimated stern (below left). Pictures before and after the placement of the plaque are in the middle and right below. (Click on the images for larger versions). All seemed well until the release of the IMAX "Ghosts of the Abyss" in 2003, created from footage shot in 2001. 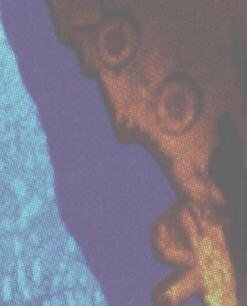 A shot of the stern, mated with digital images of actors jumping from the Titanic, showed something amiss. The plaque was gone! It doesn't seem to have moved since its deployment the previous year. The plaque was gone within the first ten years of its placement on the stern. Who took it and why? Sadly, that is not a question that is easily answered. Many suspect that it fell off the stern and perhaps into the sediment, where it rests unseen. But others suggest malice. These have ranged from one of two prominent Titanic historians, whose pro-salvage stance is opposite to Dr.Ballard's revisionist opinion (he was initially in favour of retrieving artefacts) and who now has the plaque hanging in their toilet. Others identify the miscreant as the leader of the salvage expedition who is no longer around to defend himself (he died of leukaemia a number of years back). Another trusted source says that world famous photographer, the late Ralph White, stole the plaque. My friend says, "I've had this story confirmed, and actually have a copy of an email in which he boasts of having done this ... He also had kept a gold coin from the ship as well as at least one bolt from an engine room telegraph. This last he had mounted on a plaque in his living room"; White was already incensed at Ballard for not giving credit to others who have helped him in the past, an accusation with some merit. Further questioning of my friend revealed that the source of this information was Bob Gibbons, who was friendly with White; White told Gibbons this information directly. It should be pointed out that I have never had any reason to doubt Gibbons on any matter whatsoever, and the data he has provided in other areas of research has been invaluable and verifiable. Not wishing to besmirch the memory of the dead, White's name has not been linked to the deed - until now. 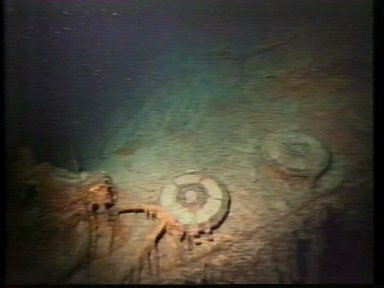 However, White's fiancee has told me that the story is false and that nothing was found in his collection which was packed away after his death - the coins were of the same year and type as those found on the wreck but were not from the Titanic. 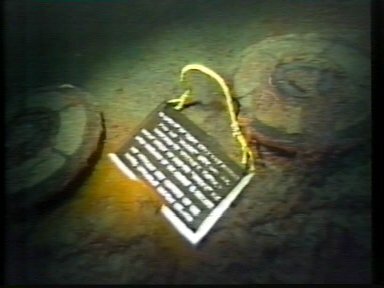 In April 2012, Ballard says that the plaque was dropped into a toilet on the wreck site and claims to have been told this "fact" but given his lack of knowledge Titanic-wise and his propensity to spread false stories (such as the loss of the crow's nest), it is too easy to sneer at this claim. But those involved in the expeditions c.1987 remind me that time was, literally, money, and to have wasted valuable dollars in pertaking in a prank such as this would not have been allowed. This makes sense. However, if someone did remove the plaque to annoy Ballard and/or the THS, there certainly is no shortage of people who would have performed the deed. Ballard's changing story on salvage has won him few fans; in 1985, he implored undersea explorers to collect artefacts to form a museum; a year later, he joked that he was thinking of collecting a wine bottle and even approached museums to take custody of artefacts he planned to salvage - he was turned down; but he suddenly performed a volte-face and became hostile about the recovery of items soon after, at the time of the announcement of the French-American salvage expedition. Then there are those who decry Ballard's ego. One prominently cited instance, which has been verified as being true, occurred when Ballard was presented to Titanic survivor Marshall Drew at an official function. Ballard said, "Oh, thats nice" and turned his back on the elderly gentleman to talk to a dignitary. And there are other occasions when Ballard has been accused of grandstanding, exaggerating himself or the expeditions, of using his association with the wreck to further his own ambitions and fame etc. etc.